In our simple demo network there are only three participants: A central webserver as victim, a legitimate user that wants to connect to the webserver and an attacker. In the beginning the legitimate user can browse the webpage hosted on the webserver smoothly. However as soon as the attacker starts his DoS attack the legitimate user’s requests either take very long to finish or even fail completely. This instability is caused by the attack overloading either the webserver’s connection or the server process itself. One tool an attacker could use for these kind of attack is the free and open source Low Orbit Ion Cannon. It is a very easy to use application with a nice graphical user interface. The video embedded below contains a short walk though. Now let’s get our hands dirty: To find out how the application attacks the victim’s server in detail we have to download and analyse the source. 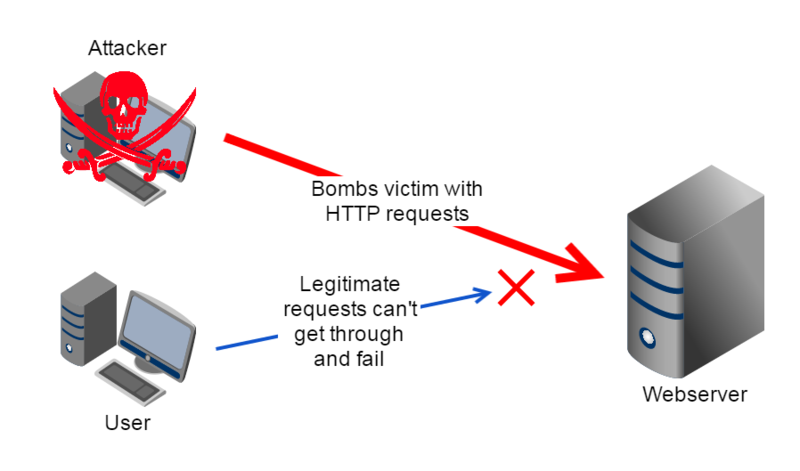 Below is a cleaned up and simplified version of the method responsible for carrying out the actual HTTP Denial of Service attack. To my surprise the method was a lot shorter and less complex than I expected. I will now try to walk you trough the functionality so that you also understand what is going on even if you are not a developer . What that means is we didn’t really use any service and just created unnecessary load on the server and the network connection. As the attack requests are generally repeated as fast as possible and are executed in parallel this load can render services unusable or even bring them down completely. This is especially true for Distributed Denial of Service (DDoS) attacks where many attackers or their bots join forces to attack a target as happend to the Playstation Network in 2014. To recap: The sourcecode contains no nasty little tricks or algorithms that require any special knowledge. That means you don’t need to be a genius to write an effective and widely used Denial of Service attack tool. For me that is somewhat frightening! The first and most important thing you need to know about the Pass the Hash (PtH) attack is, that it is not a single attack but actually a whole group of attacks that should correctly be called Pass the X. In any of these, the attacker obtained some kind of user identifying information (like the plaintext user password, a password hash or a Kerberos ticket) and uses them to impersonate as that user. This post focuses on the NTLM hash and the Kerberos tickets as they are the most interesting one’s from the Pass the X’s point of view. This attack is possible not because of a security vulnerability or design issue but because of the infrastructure necessary to enable single sign on (SSO). Although it can be used on any operating system and any version, Windows networks are the primary target. At TechEd North America 2014 Mark Russinovich and Nathal Ide gave a great talk on the technical background of Pass the Hash styled attacks. It’s available on Youtube and I really encourage you to watch it. In the following paragraphs I will try to give an overview about the different Pass the Hash attacks and scenarios. However this is not a tutorial and so I will not document the specific commands. Please see the section “Your Toolbox” for further details, tutorials and the necessary tools. Where To Obtaining User Identifying Information From? Before an attacker can start a Pass the X attack he has to obtain something to pass along. There are two ways to do so. Either he gains local administrator rights on a client and dumps the hashes of all currently logged in users from the so called Local Security Authority or he gains access to a Domain Controller and dumps possibly all user hashes from the AD. Let’s start with the somewhat less severe scenario of a client overtaken by an attacker with access to a local administrator. 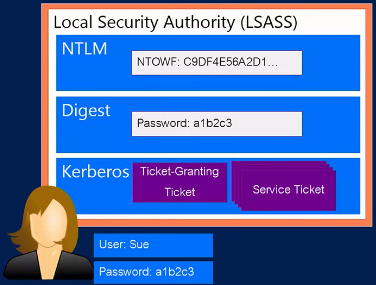 In Windows the Local Security Authority or lsass.exe is the process responsible for enforcing the security policy on the system. Furthermore it is also responsible for transparently authorizing the users to the services they want to use. For example if a user connects to a file server the system negotiates the protocol to use and the Local Security Authority transparently tries to sign the user in. It supports many different protocols like NTLM, Digest and Kerberos and it can also be extended by plugins. The important thing is that depending on the protocol, the system has to cache a varied of user identifying data in order to successfully reauthorize the user. For example the Digest module needs to cache the user password in reversible encrypted form. An attacker can use any of this user idenfitiying information for this Pass the X attack. With that knowledge any local administrator can dump the memory of the lsass process (with for example mimikatz, WCE or Task Manager’s Create Dump File) and thereby obtains the cached user identifying information of all currently signed in users. Depending on the enabled modules this at least reveals some password hashes but it might also already dump their plaintext password. The second way of dumping user identifing information can only be used by an attacker that already gained access to a Domain Controller. There he can dump the LM and/or the NTLM hashes of all users as they are stored in the Active Directory. Again it does not really matter which one he captures as both can be misused. You may ask why an attacker with Domain Admin access still leverages Pass the Hash styled attacks? Well, it allows him to impersonate as any user on the domain without knowing or resetting the user password. Thereby he can easily access the user’s Exchange and Sharepoint account as well as connect to any file share the user has access to. This approach is especially great when giving presentations to C level executives. They may not care about an attacker being Domain Admin but they will care for sure if it allows them to access their mailbox or calendar. As it is a little more complex to dump the hashes out of the Active Directory I will cover this process briefly. 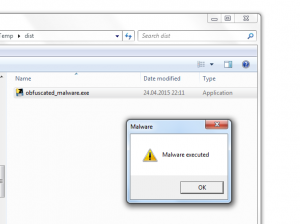 Generally there are two steps: At first an attacker creates an offline copy of the registry and the AD. This can be done with the help of ntdsutil and VSS. Then he moves the files off the Domain Controller to his local machine. 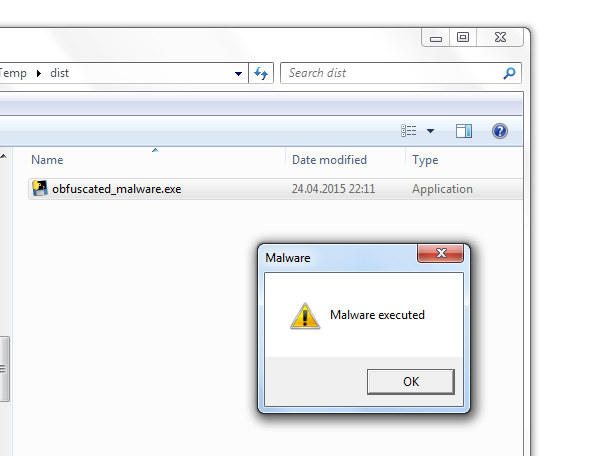 There he uses a tool like secretsdump to extract the hashes as shown in the picture above. Although you already know that the hashes allow an attacker to impersonate as that owner of the hash, we will now cover this is more detail. If you are interested in a live demonstration I recommend you to watch the first 26 minutes of the talk “Still Passing the Hash 15 Years Later” from Black Hat USA 2012. As discussed in the beginning the Local Security Authority is responsible for caching the user identifying information. To use the stolen hashes an attacker now simply replaces the user identifying information within the lsass.exe process on his own computer (again with for example mimikatz or WCE) with a stolen one. From the network’s point of view he thereby basically transformed his account to someone else’s. Mark Russinovich and Nathal Ide also talk about this process in their presentation “Pass-the-Hash: How Attackers Spread and How to Stop Them” starting at minute 7:10. Again: By replacing the information within the Local Security Authority the attacker changed his identity to someone else’s without knowing the corresponding password. He can use any service the rightful account holder could use as long as it supports single sign on. This also works for accounts that use a two factor authentication like a smartcard as they still rely on the same single sign on infrastructur. A special case I want to highlight is the Golden Ticket attack. If an attacker obtained the NTLM hash of the KRBTGT domain account he can create a so called Golden Ticket. This is nothing else than a valid self created Kerberos Ticket Granting Ticket (TGT). With that ticket it is not only possible to impersonate as some else but it is also possible to authorise yourself. It is basically an attackers dream. The video below shows that attack in action. 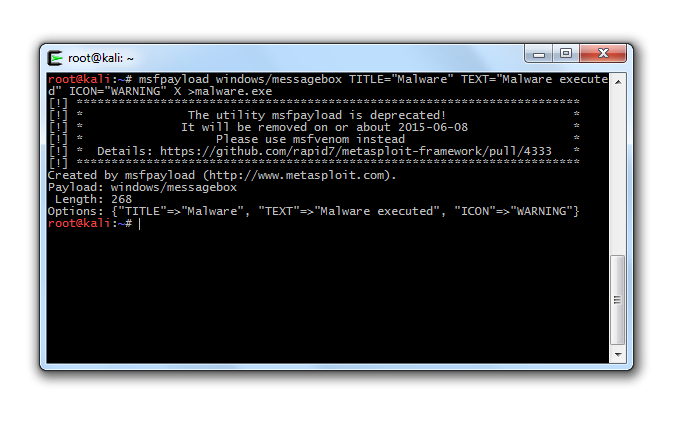 For an attacker or pentester Pash the Hash styled attacks are a very valueable attack vector. Virtually all companies are prone to it as single sign on is used by many of the most business critical applications. Furthermore it often allows an attacker to rapidly elevate his priviledges after obtaining initial access to a low profile client. Although Microsoft already actively participates in the ongoing debate about Pass the Hash it is still a long road before all organisations understand the associated risks. I have commited myself to actively point people to Microsoft’s Pass-the-Hash portal so that the words spreads a little faster. If you have any questions or additional input please leave a comment below. Finally here is a list of applications and the corresponding documentation for your further reading. All this links really helped me to deeply understand Pass the Hash styled attacks and to write this summary. Hereby I want to thank all the authors for their great job! Cygwin is a great tool to run Linux application on Windows. I primarly use it to run my already written shell scripts. 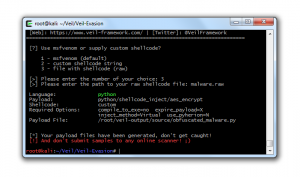 What I always missed was the ability to launch shell scripts with a simple double click. However this is very easy to setup. Just right click on a .sh file and select “Open with…”. 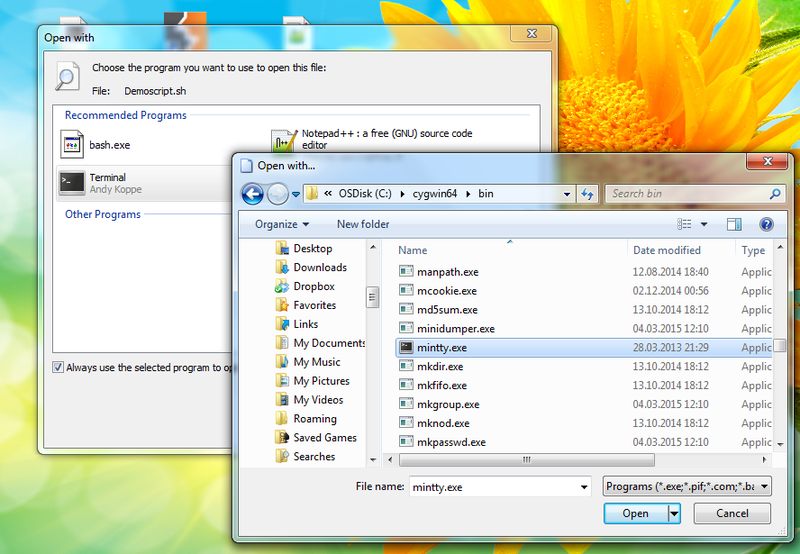 Now browse to “C:\cygwin(64)\bin” and select mintty.exe. Don’t forget to check the checkbox at the bottom of the dialog to always use the selected application. 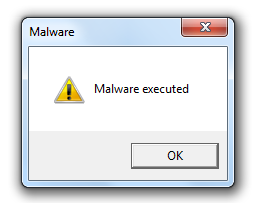 From now on just double click any .sh file and it gets executed automatically. I’m responsible for several VMware ESXi hosts that are secured using a Bastion host. These Bastion hosts help to protect our client’s infrastructure and only allow access over some specifically enabled network protocols. It’s clear that they don’t allow traffic from the Internet to our VMware ESXi systems, so we have to go a different route to manage them. 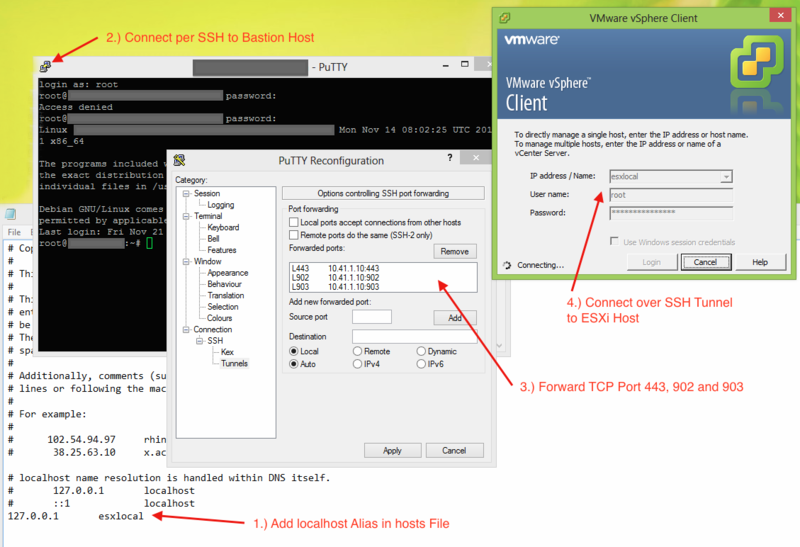 Fortunately we can connect to our Bastion host using SSH and then tunnel the vSphere connection from the client machine to the ESXi system. The diagram on the right shows the corresponding data flow. This post will focus on the necessary configuration as I always forget how to setup a new client machine. Now connect to your Bastion host using a client that supports SSH Tunneling. I always go with PuTTY. In the next step we have to configure the three necessary tunnels. 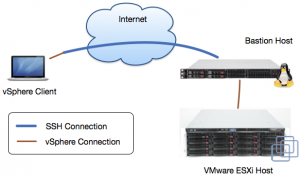 For the vSphere Client to successfully connect we have to forward the TCP ports 443, 902 and 903. Please ensure that you use the same ports locally. If you have setup everything correctly you are now able to connect over the SSH connection. Be aware that you have to use the hostname that you configured in the first step (like esxilocal) not the machine’s real one. Currently I’m busy building several automated workflows that run on our flow:rage Video Storage System and that move files and directories from A to B while processing them in some way. 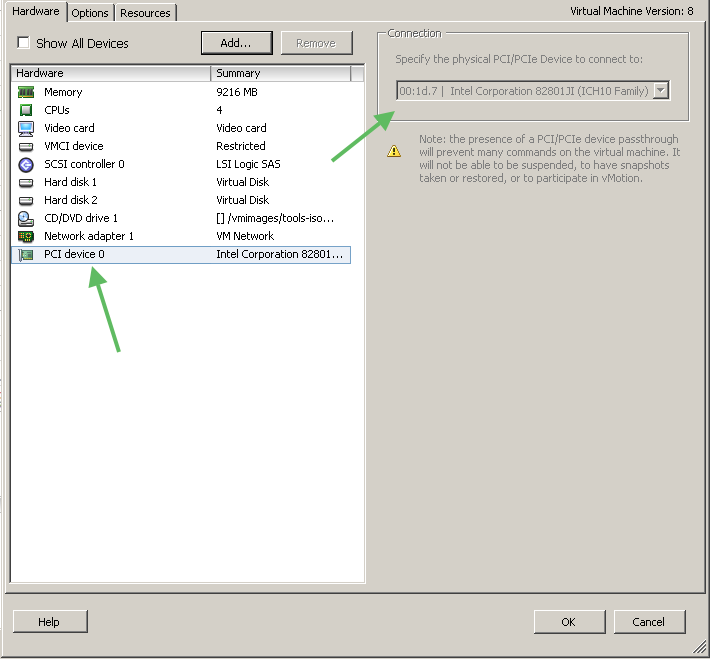 During qualifying this workflows for production we discovered that moved items were not immediately visible for Windows clients connected using SMB. Sometimes it took several minutes for the files and directories to show up. Even manually refreshing the parent folder did not help. Linux and OS X clients were not affected by this issue and so it was clear that this had to be a client side caching problem. This configuration change disables the client side directory content cache. 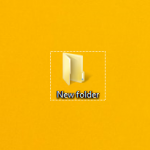 That means that file and directory changes are immediately visible for the client. This was exactly what I needed to solve my issue. However be aware that this change causes the client to contact the server more frequently. It sounds like a simple task to configure a Windows client to connect to a L2TP/IPsec server hosted by Mac OS Server. However it’s not. The first step it the most important one. Open the registry editor (regedit) on the Windows PC as administrator and add the DWORD AssumeUDPEncapsulationContextOnSendRule with a hex value of 00000002 within HKEY_LOCAL_MACHINE\SYSTEM\CurrentControlSet\services\PolicyAgent. To apply the changes you have to reboot. Then add a new VPN connection using the Set up new connection or network assistant in the Network and Sharing Center. Be sure to enable the checkbox Don’t connect now, just set it up so I can connect later. To finish the last step open the Properties dialog of your newly created VPN connection. Within the Security tap change the type to L2TP/IPsec and set the shared secret within the Advanced settings. Furthermore change the dropdown menu Data encryption to Optional encryption. Now you are able to connect to the VPN service! Mac OS X extensively uses file metadata. As this post explains there are two fallback mechanisms if a volume is not able to handle this data. On the one hand .DS_Store files are created to store mostly Finder specific settings. On the other hand metadata like resource forks or creator types are stored in “Dot Underscore” Files. For example the metadata for the file “Demo.avb” is stored in “._Demo.avb”. Both mechanisms are great in an all Mac environment but can cause troubles in mixed setups. Luckily there are ways to at least minimize the pain. Even Apple thought that this files are not always necessary and build in a setting to disable the creation on network drives. Furthermore the guys from BinaryAge (the creators of the epic TotalFinder) build a tool called Asepsis. 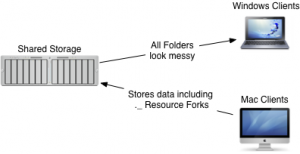 It is used to redirect all .DS_Store files into a folder buried in the depth of the system. Thereby the Finder is still able to store folder specific settings but external drives aren’t effected anymore. … cause more trouble. As they eventually store application specific data there is no official way to disable them. A possible workaround is to schedule a script to delete them (every night). This is exactly what I did for Windows (Powershell script) and Unix (Bash script) operating systems. On Windows the script can be scheduled using the “Scheduled Tasks” system setting. On Mac OS X a launchd configuration should be used – it can easily be created using Lingon. Other Unix operating systems can use a cronjob! The script recursively searches a given folder for Dot Underscore Files and deletes them. Be aware they will most likely be recreated! You can download the Windows and Unix version using this link. When you set your Adobe After Effects CS5.5 render output path to a folder on an NFS volume shared by an Windows 2008 R2 server the render process stalls. After that the machine has to be hard reset! While doing some server and network protocol performance tests we discovered the described problem. We also set up a dedicated Windows NFS test server and a Mac OS Lion client to verify it. Other NFS servers are working as expected. It looks like that After Effect tries to set a lock on the render destination file. During that something (??) goes wrong and the process stalls. After that the NFS kernel extension is still dead locked (??) and you need to hard reset your Mac. To work around this issue the “sync” mount command line option can be used! This causes a big performance loss but at least it allows you to render to the NFS volume. Further details about the sync/async operation can be found in the exports man page.